Some of the most inspirational people I have met during my nursing journey so far have been my mentors. Without them I would not be where I am now and thanks to them I aspire to becoming a mentor for future nursing students. 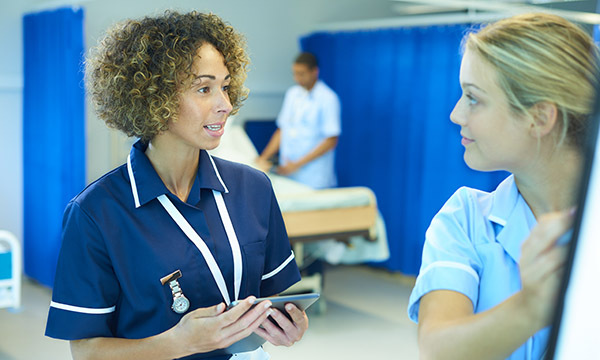 The role of the mentor is often under appreciated by registrants and nursing students alike, despite the guidance and support they provide for nursing students during their education. As well as providing time consuming and specific training, mentors spend much of their time taking new students under their wing and settling them in to adapt to new placement environments. They also trust their students to carry out specific tasks that help with their learning while assuming accountability for their students’ actions. Mentors also regularly allocate time for their students to enable teaching and complete documentation. And mentors do all this while still being nurses and providing care for patients. None of this can be easy and the responsibility of such an important role must at times be demanding. Their hard work should be recognised and rewarded with the introduction of a specific nursing mentor award in future award programmes. National Mentoring Day is on 27 October and I hope all nursing students will take the opportunity to thank mentors for all they do and ensure their dedication does not go unnoticed.